The vastness of space has fascinated me for a long time. And by a long time I mean at least 3 weeks. Okay 3 weeks is a gross underestimate. I’ve been fascinated by space for a really long time. 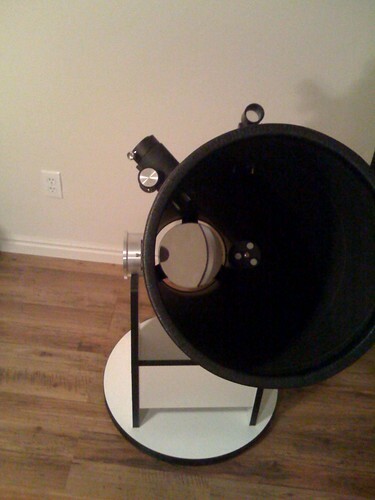 I bought this telescope 8 years ago? 9 years? 10? I don’t really remember. I bet I could find out, but I’m not going to today. So we know that the universe is vast. Hugely vast. Bigly big. Thinking about how big it is makes my cares feel so small and insignificant. But, they are significant. Even if we care about something we shouldn’t care about, the very act of caring about it makes it important. Caring about something simply means means that action needs to be taken. If that action is to stop caring about it because it shouldn’t be significant, then it’s probably a pretty big deal. Little things add up. If our lives are full of the mundane and what we deem unimportant, that’s significant. If you recall from my post on Saturday, I woke up really late. I worked until about 10:30 PM. I was bored. Tired of being indoors. Still not happy about having slept in. I wanted to get out of the house. I went for a drive. I didn’t have any specific destination in mind. I just started driving. I ended up in American Fork, UT (about 15 miles away). I stopped at a McDonald’s and bought an M&M McFlurry. Yes, very unhealthy. I made it even less healthy by requesting Oreos be added. Yeah, I know. It was a total sugar overload and so not worth it. When contemplating the vastness of the universe, and then 25 cents for extra salad dressing (I choose Ranch) on a McFlurry at a McDonald’s in American Fork, Utah (located on a tiny little rock floating in space), it feels markedly ridiculous to think for a moment that those 25 cents matter. And yet they do. This realization is mind boggling. How is it that the sheer mass of the universe (and perhaps multiple universes) is not more important than the needs of one individual, or even 25 cents? The vastness of the universe does not supersede my individual cares, nor yours. And, of course, vice versa. Or, are the ‘cares’ of the universe as a whole made up of the sum of its parts? Is it possible for the collective needs of a society to supersede the rights of any individual?